This book spoke to me as a woman who loves being part of a family. 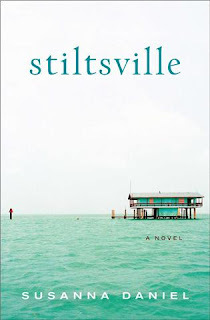 Stiltsville refers to a community off the coast of Florida with small cottages built on stilts in the surrounding water. It tells the story of Frances who as a young woman finds her true love during a chance meeting at his family's stiltsville cabin. It happens like that in just a moment, in an odd location, and in a blink of an eye you meet the person you will spend the rest of your life, for better or worse. Through their courtship, marriage and the birth of their daughter, Margo, you see what family and friends brings to your life. I laughed and cried at several memorable moments that had to do with Margo's adolescences and as Frances and Dennis struggle with the confines of marriage. Margo is mature physically for a fourth grade student and at a school conference her teacher suggests to Frances and her husband, Dennis, that Margo might feel more comfortable skipping fifth grade and jumping right to sixth. Her parents go along with this idea and Margo finds herself in the midst of sixth grade serious drama, teasing and bullying. She is invited to a popular girl's sleepover where she leaves half way through the party because the girls have set her up in a most embarrassing way (mooning a group of boys) and laughing at her afterwards. The incident was well-written and made me feel for poor Margo and her parents as they try to figure out how to help her through this new year. I found this book filled with poignant moments like this that mirror my own life in some way. I worry about my youngest daughter who is innocent and lacks the ability to see through the mean girls in her own fourth grade class. I also loved the college Margo as she ventures forth to find her own path leaving her parents to explore their empty nest, which just leaves room for more worrying. 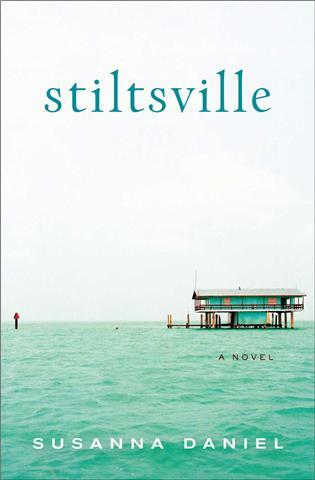 I loved the story of Stiltsville, Frances and Dennis, his parents and his sister, Bette, their set of friends, and Margo all make for a memorable story; one that I keep thinking about many days after finishing. My handsome husband competed in his 11th marathon this past weekend and I was there to cheer him on. I read and finished this book while I waited for him at various stops along the race route. It was cold outside and I openly cried as I finished the last two chapters. There is a moment in the book where Dennis and Frances are talking about Margo and Peter, Margo's new husband and Frances realizes that anything Dennis says to Margo seems to be understood but if Frances brings delicate subjects up somehow it is seen as her being critical of her daughter. As I reader I noticed this throughout their relationship and it definitely reflects experiences my husband and I have had with our own daughters. Somehow fathers have leeway with what they can express to their daughters that mothers are left out of entirely. I'm sure this must be commonly true but I hadn't really been able to express it. I have more fond memories of my father and do think of my mom as being more critical. I hope this is not always the case and don't want my own children to walk away from our home with the same feelings. Hmmm. What do you think? Are mothers destined to thought of in this way? Luckily it does not damage forever as Margo and Frances stay connected throughout the book.